ransformers: The Last Knight is about to hit theaters, but plans for the franchise go well beyond Michael Bay latest (and final) installment of the franchise. There are already story plans for Transformers 6 & 7 in place; there's a Bumblebee spinoff movie that will be set in the 1980s, and there's even another Transformers spinoff that could take place in ancient Rome. However, according to a new report, Transformers 6 is still trying to find a director to replace Michael Bay. 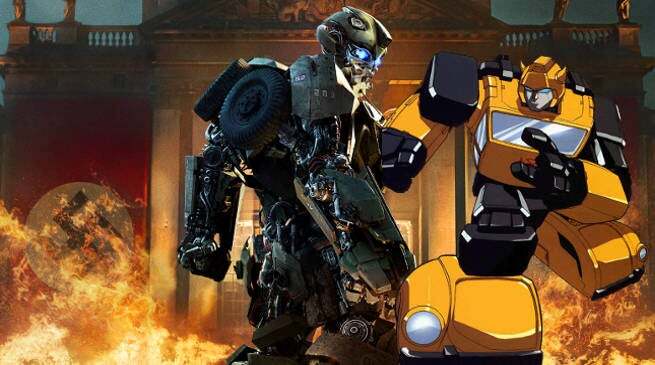 While fans wait to see what will happen with the main Transformers films, details about the Bumblebee spinoff are starting to come to light. The Last Knight will reportedly open the door much wider for Bumblebee as a character, revealing his secret history and origin. The spinoff film will presumably go deeper into that history, with the setting in Transformers cartoon's classic “G1 Era” of the '80s. The terms “G1” and “more time with less robots” are going to be music to the ears of so many viewers who don't like the approach Michael Bay took with the movie franchise. That joy will hopefully grow much bigger, once we know who will direct this throwback chapter of the franchise. Who would you like to see direct the Bumblebee spinoff? While we discuss that question, Transformers: The Last Knight is slowly creeping up the fan anticipation ratings, with a 3.91/5 ranking. Let us know how excited you are for the movie by ranking it below! Transformers: The Last Knight's voice cast includes Peter Cullen as Optimus Prime, John Goodman as Hound, and John DiMaggio as Crosshairs. Other transformers appearing the film include Bumblebee, Drift, Hot Rod, Cogman, Canopy, Sqweeks, Grimlock, Megatron, Barricade, Onslaught, Hooligan, and Mohawk. Transformers: The Last Knight opens in movie theaters on June 21, 2017.